I've traveled to nine countries and eleven cities in my semester abroad—but there's only one place I'll truly call paradise. 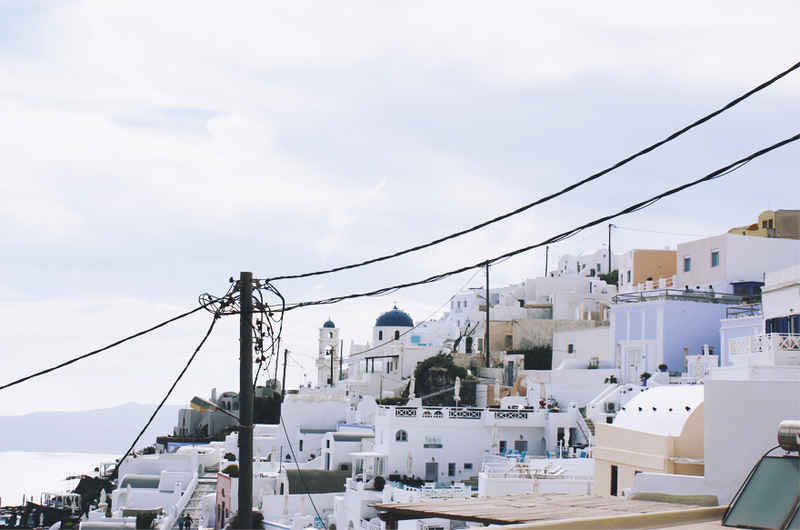 Meet the island of Santorini, a place where postcard perfect views are aplenty, where your Tumblr dashboard becomes the reality, and where everything is, well, unforgettable. 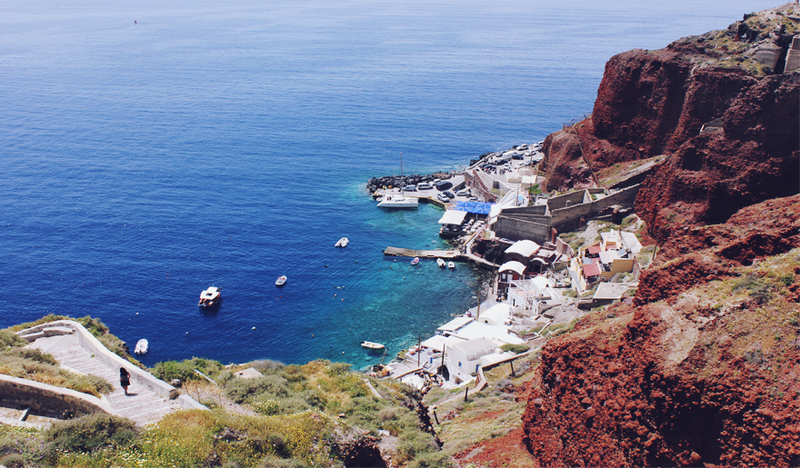 In other words: it's a destination worth many "pinch me" moments. 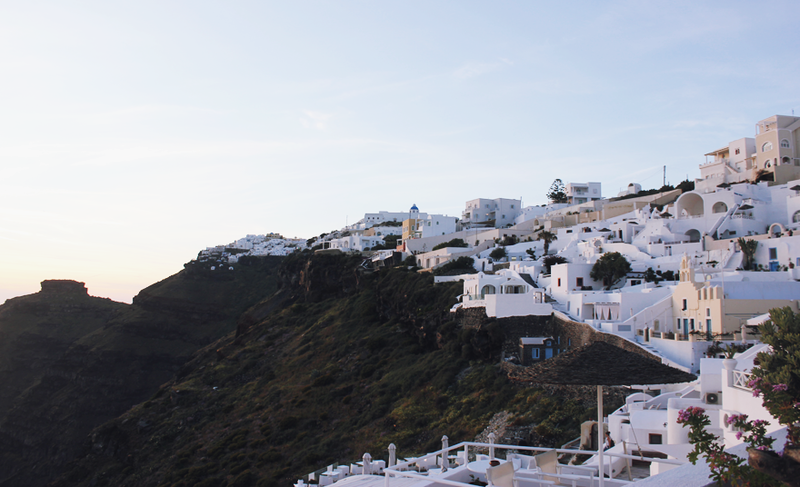 Everything, from the sights to the cuisine, felt remarkably surreal. 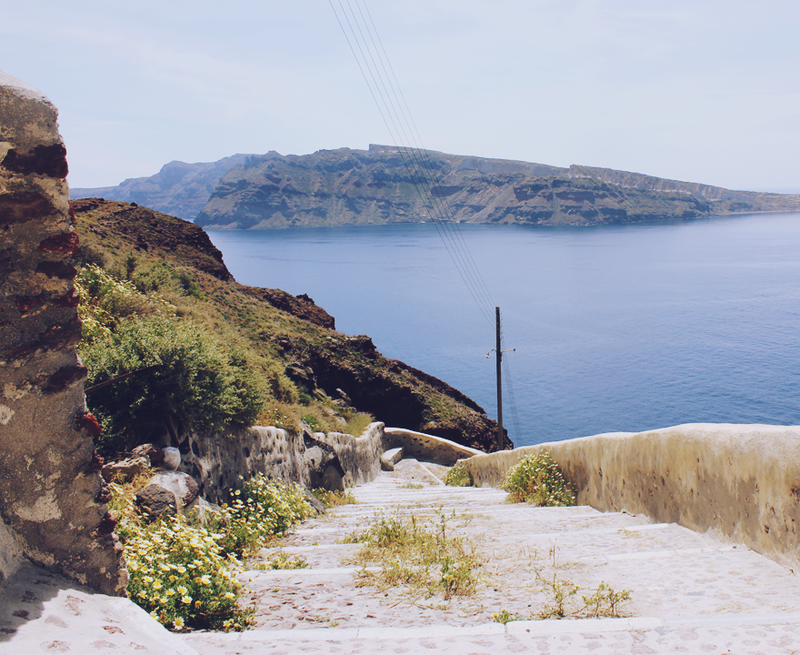 For once, this was a city that lived up to every movie scene, magazine page, and Instagram shot that I had carefully studied (unfortunately, I can't say the same for Rome...) Santorini, for the record, looks just as exquisite off-screen as it does on-screen. 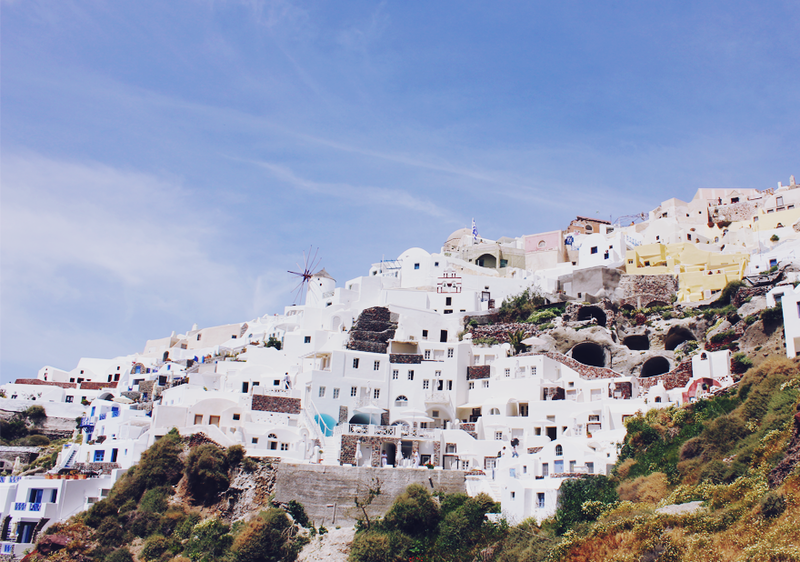 Santorini's color palette is unrivaled in beauty—think vibrant blues, crisp whites, and the occasional pop of gold. Of course, my dream vacation uniform must match with the island vibe. For starters, a breezy, cotton romper perfectly channels that laidback essence; layer this over a floral ruffle bikini for true bliss. And since we are still in Greece, it's time to summon your inner Greek goddess; a sleek gold cuff and glossy espadrilles seals the deal. Shield your tresses with a floppy white straw hat and slip on a pair of retro-cool sunglasses for necessary people-watching. A fringe backpack adds a bohemian splash while storing your photography weapons. 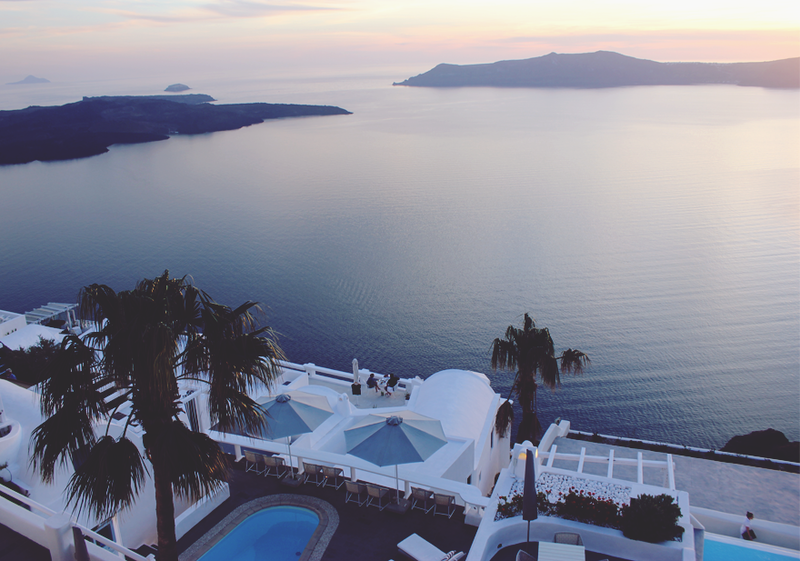 Last but not least, ensure that your nails are Santorini-ready with a milky blue hue. 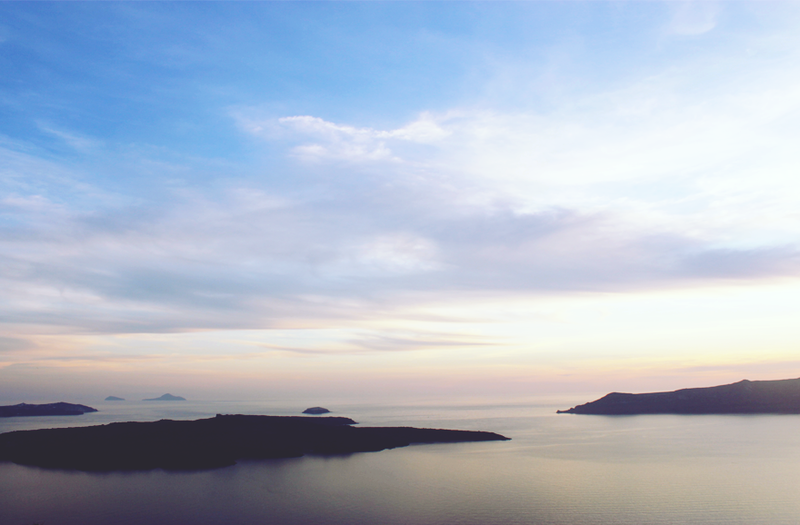 It's safe to say I'm already going through Santorini withdrawals.